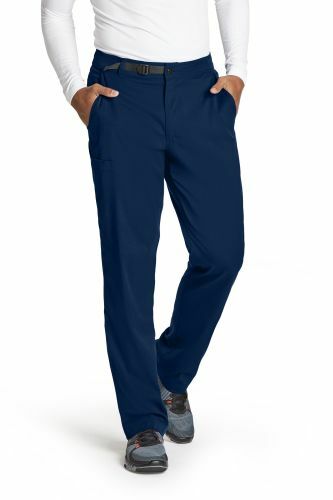 Men's Belt Closure Scrub Pant by Grey's Anatomy gives you the performance, style and comfort you're looking for. Four deep pockets to store your gear, unique belt closure at waist and functional zipper fly closure. Inseam: Regular: 32", Short: 30", Tall: 34"
• Inseam: Regular: 32", Short: 30", Tall: 34"